Moundville Archaeological Park, located in Tuscaloosa County along the Black Warrior River, preserves the site of a large ceremonial and political center of the Mississippian cultural period. It was first settled around 1120 A.D. and was largely abandoned by 1450 A.D. 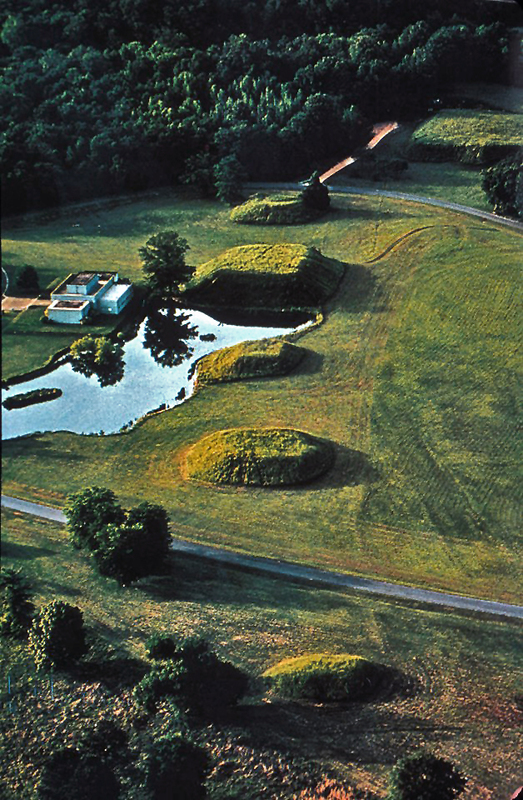 Shown here are several mounds as well as the Jones Archaeological Museum (left).